Preserving Downtown Georgetown one brick at a time. The Residences of the Hotel McGibbon will pay more than a passing nod to the historic landmark that previously occupied the corner of Main and Mill. 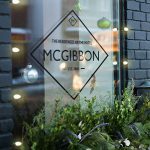 The developers have been deeply invested in a faithful restoration of the McGibbon Hotel ever since they decided to pursue the idea three years ago. The first step to preserving its rich history? Surveying the bricks. Heritage masons and a team of engineers were brought in to survey and plan for the careful harvesting of bricks and artifacts during deconstruction this summer. 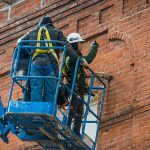 The structure was not only inspected and photographed from every angle, but bricks were also taken for further testing to assess their quality and viability for preservation. 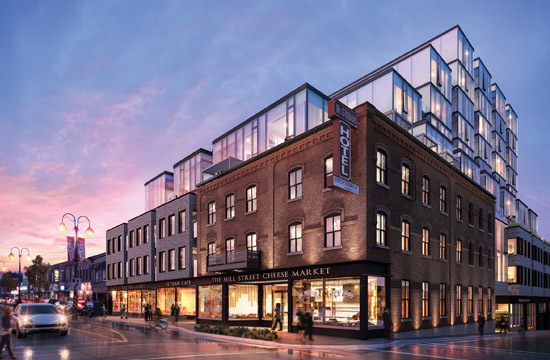 During the surveying, Pat Farley, Branch President of The Architectural Conservancy Ontario, sat down with our developer Doug Pattison to discuss why maintaining parts of the original hotel – especially the bricks – is so important for Downtown Georgetown. Considerable effort was made to catalogue, assess and number pieces of the building so they can be reincorporated into the new structure. It starts with detailed records and protocols for removal, storage and reinstallation. 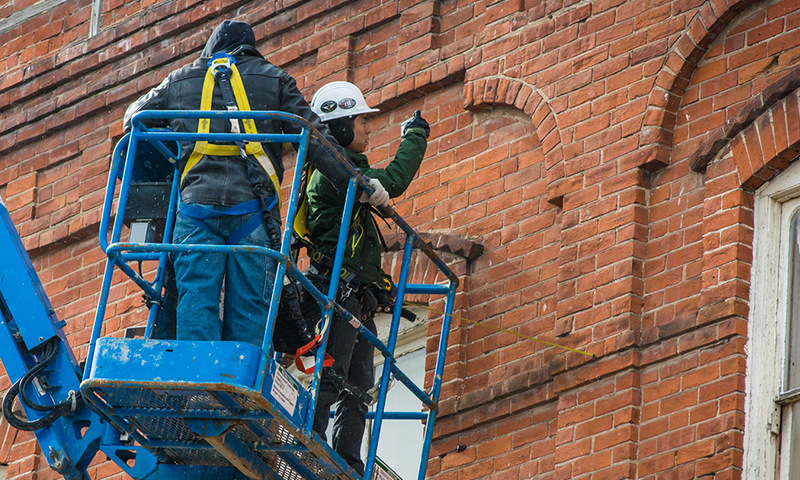 During the construction phase, delicate installation to frame the heritage elements and connect the restored bricks to the concrete blocks will take place using an anchor system that protects and ensures new structural integrity. 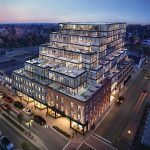 Parts of the building that cannot be safely preserved for reuse will be authentically recreated to honour the building’s rich history, including the exterior balcony detailing and interior moldings. Brick samples were also taken to create colour-matched mortar similar to what was used when originally constructed, and all surveying photos will be provided to the local archives. Yes, this approach is as complex as it sounds, but it provided valuable information in order to complete the work properly! All done in an effort to further preserve the legendary corner of Main and Mill. It’s official. Construction begins this summer.